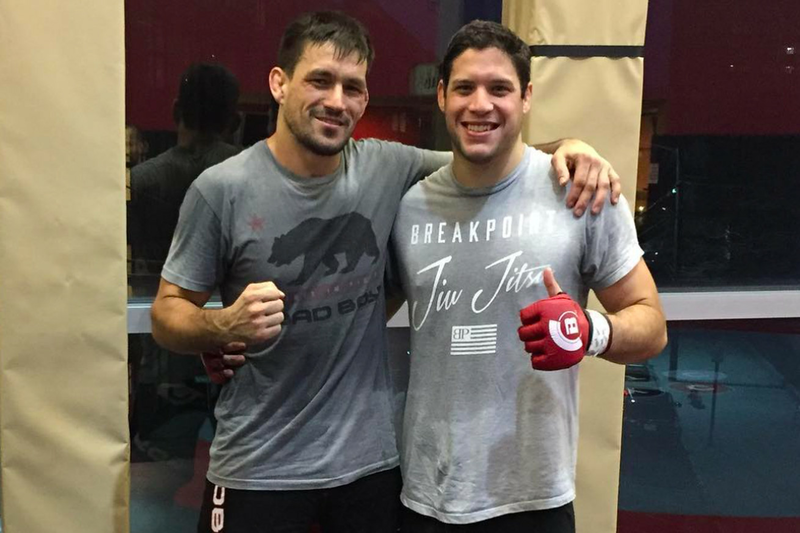 Neiman Gracie is the new generation of the family that helped create mixed martial arts, and he won’t try convincing you he’s not a pure grappler. Unbeaten in MMA with five professional wins under the WSOF and Bellator banners, Gracie returns to action on June 24 against Dave Marfone at Bellator 180. He was initially scheduled to compete in April, but when multiple opponents pulled out, his fight was pushed back to June. Gracie admits he didn’t watch a single tape of his opponent’s MMA fights, but, based on what his coaches told him of Marfone, it will be no different than his previous foes. Gracie, who won for of his five MMA bouts by submission, will always go for takedowns right away in his MMA fights, and he doesn’t expect anything different from his opponents. Demian Maia entered the UFC in 2007 as a pure jiu-jitsu fighter, but getting knocked out by Nate Marquardt after five submissions in a row changed his approach to the game. After accumulating a few losses in the Octagon, Maia turned back to a pure grappler, and it paid off. “No one’s doing what he has done and in the way he’s doing it,” Gracie said of Maia. “He’s a big inspiration. I had the opportunity to train wrestling with him, and every time I see him I ask him a thousand questions about everything [laughs]. He is, for sure, a great inspiration, not only as a fighter, but also as a person.